Explore God is a Chicago-wide community outreach initiative. We all have questions about God, faith, and purpose and this series will look at those questions in an open, authentic way. Jan 13 | Week 1 – Does Life have a Purpose? Big Idea: We were created to live in a relationship with God. Life is meaningless without God, but God gives everything meaning. Jan 20 | Week 2 – Is There a God? Big Idea: When we are open to the possibility of God’s existence, we’ll discover there are many indicators of his presence. Jan 27 | Week 3 – Why Does God Allow Pain and Suffering? Feb 3 | Week 4 – Is Christianity Too Narrow? Big Idea: God provided a way for everyone to find their way back to him. Most religions boil down to humanity trying to reach God, but Christianity is about God reaching humanity. Feb 10 | Week 5 – Is Jesus Really God? Big Idea: With intention or by default, every person answers the question, “Is Jesus really God?” The overwhelming evidence points to the truth of his divinity. 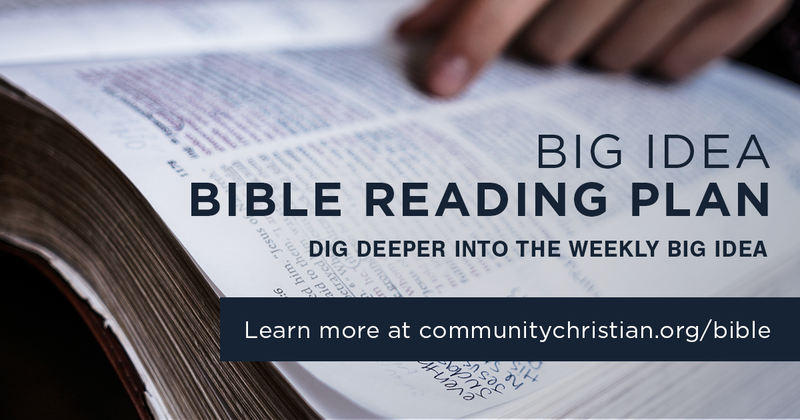 Feb 17 | Week 6 – Is The Bible Reliable? Big Idea: The Bible can be shown to be a reliable document, accurately recorded and transmitted through history, and relevant to life in the 21st century. Feb 24 | Week 7 – Can I Know God Personally? Big Idea: The way to knowing God is not by striving and trying harder. It’s through knowing and following Jesus. Sign up for daily emails containing scripture as we continue to explore who God is. Unsubscribe at any time.